When I decided to try making pickles this summer, you might remember that my husband’s one request was that we please try a few different recipes in small batches, versus going whole hog down the road of one untested recipe and then not liking it, but having a massive amount of jars sitting waiting to be consumed or not (I assume this was his thought process). Although I followed his advice, I did think it was rather silly, because of course all the pickles would be delectable. Well, it turns out I was wrong… and this was a good idea. I tried three recipes and there is a very clear winner! Yippee! The one that I thought would be the best, was not, in fact it was not good at all. But I still call the event a success, because one of the recipes turned out very well. 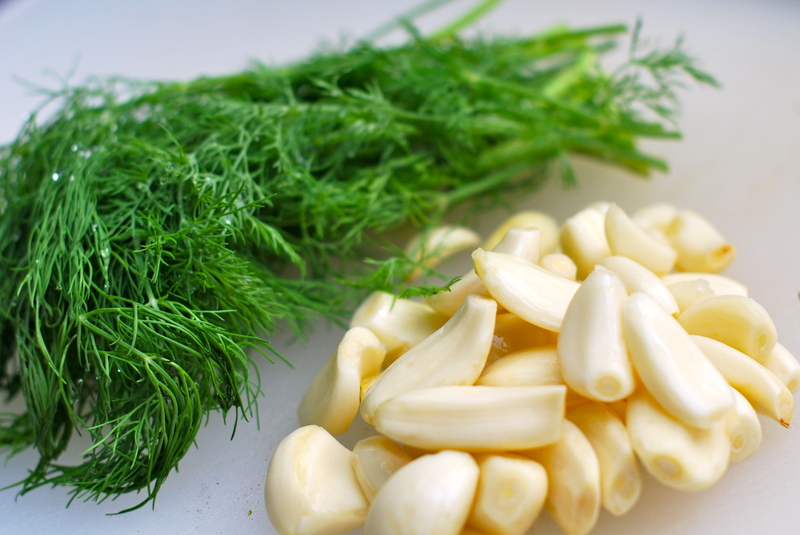 It is a classic dill style and has just the right amount of tart, dilliness to enjoy many different ways. So, as promised, here is the recipe for the very clear winner, Spicy Dill Pickles. The recipe I used was from Tart & Sweet, by Kelly Geary and Jesse Knadler – a wonderful cookbook that takes urban canning to the next level with innovative recipes and great instruction. This particular recipe is very straightforward and easy. 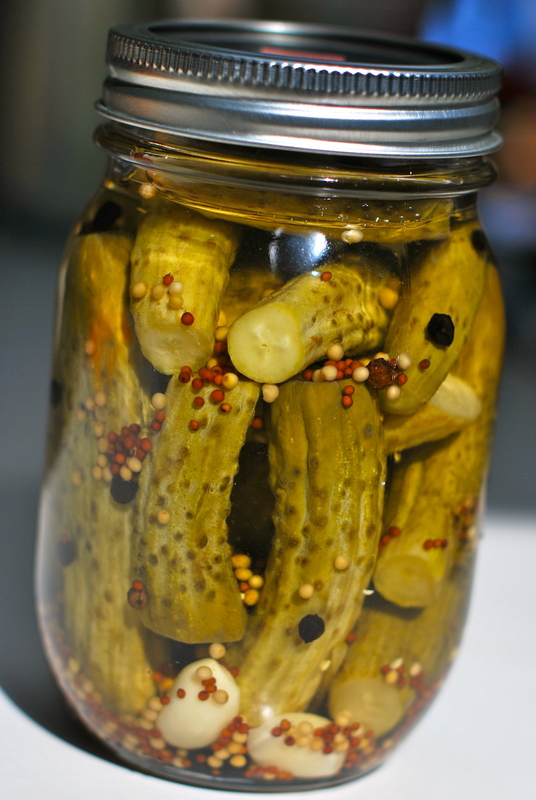 With pickling, since you add your spices to the jar itself, you can play with how spicy to make your pickles or omit a spice completely if it is not to your taste. So satisfying! 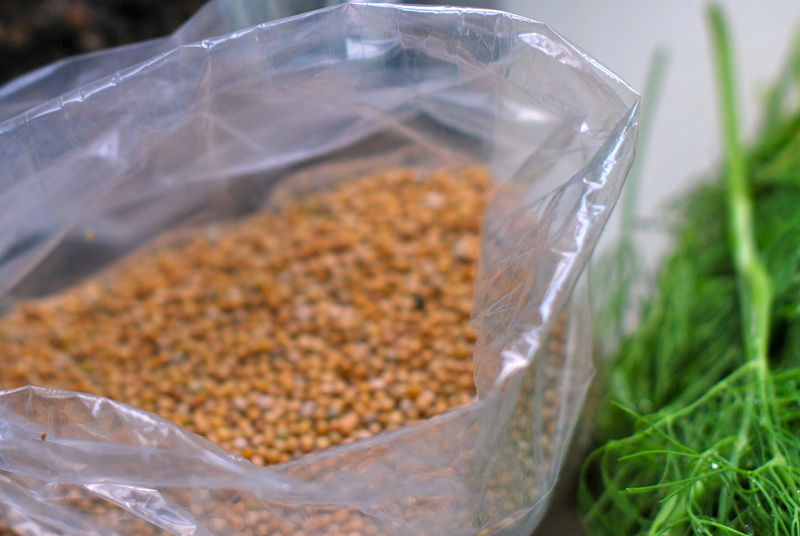 Bring the vinegar, water, and salt to a boil in a medium nonreactive pot. Stir to dissolve the salt. Place garlic, dill, peppers, and spices in each hot jar. Pack cucumbers in as tightly as possible without crushing. Pour in boiling brine, leaving 1/2 inch headspace. 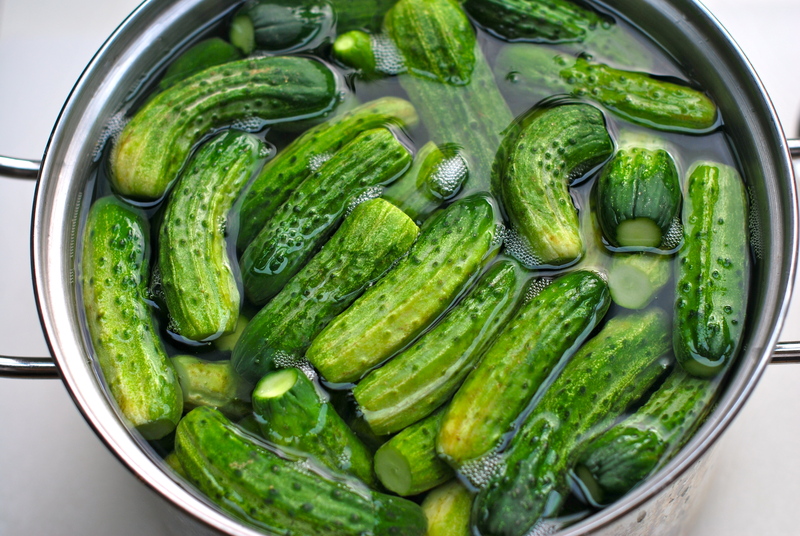 Make sure the cucumbers are submerged in the brine. Check for air bubbles, wipe the rims, and seal. Process for 15 minutes, adjusting for elevation. Yield 4 quarts. Note: I brined the pickles overnight and kept my pickles whole as they were on the small side. I also used pint jars versus quart, so my yield was 8 pints. I will try these again next year, but I might also try fermenting a batch to see how they compare! What does a girl have to do to get invited over for pickles and tea? Lady… my house is always open for pickles and tea… and if you are really nice, fig preserves! Thanks for stopping by! I agree that they are great words to remember. My friend’s grandfather just turned 100 this summer and is going strong! Spent the afternoon pickling. How long do we have to wait to eat them? It takes about 3-4 weeks. You should be good to try them now. I can’t wait to hear how they turned out!